CLICK HERE to print this Capability Statement. 14.03.19 - Update: The business of 1300 Meteor Rentals is in the process of being sold and transitioned to the 3rd generation of Addison family ownership, with the transition commencing on the April 1st 2019. The new company is Addison (Aust) Pty Ltd ABN 38 631 194 440, with David Addison as Managing Director. When working in remote areas and especially if working to a deadline, a very high level of service and backup is required we offer that service! And we do this by applying our philosophy that as a vehicle-hire company: - we strive to be a minor part of your day. But what does this mean? We believe we are no different to a pencil, a calculator, a mobile phone we are simply providing you with a tool to get your job done whatever that job may be. With this approach, we ensure a seamless, hassle-free process for you, our valued customer. 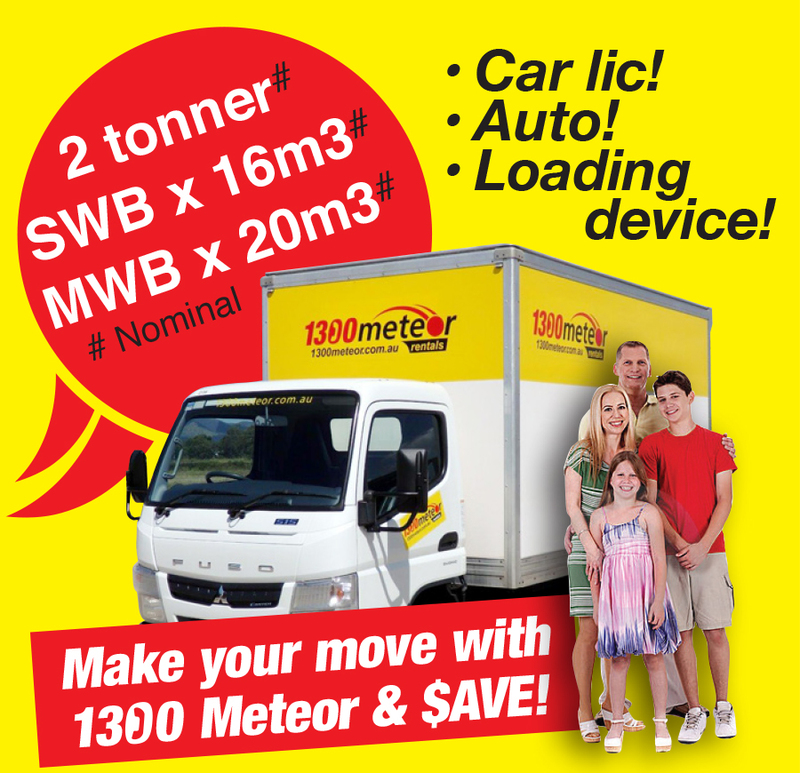 1300 Meteor Rentals are the largest, independently-owned vehicle hire company in North Queensland. We have been in the vehicle hire business for over 30 years, specialising in the commercial sector. Our Branch Managers and Supervisors are available at all times and we can assure you that the company attitude is highly geared towards supporting the client and providing maximum assistance when needed. We see our role as being an adjunct to your business, ensuring an empathetic attitude to what makes your business tick. environmentally cleaner vehicles, with the constant progress towards more stringent emissions controls. 1300 Meteor Rentals specialise in the supply of quality, late model vehicles for a wide variety of applications. Cars & SUV's: Recognising the general public's move away from cars we offer a great range of SUV's while maintaining a fleet of small hatchback cars for clients on a budget. Mini buses: 7 and 12 seat (car licence). Light commercials (4x2), including single and dual cab utilities (all in hi-rider configuration to handle more difficult site conditions), and delivery vans. 4x4's, including tray backs, dual cabs and station wagons (5 & 7 seat) - all turbo diesel, all with bull bars and towbars fitted. Trailers: Box (open topped) trailers, cage trailers, fully enclosed luggage and furniture trailers, and car carriers / general purpose flat top trailers. Photos and video clips of our full range can be found here on our website, plus a great overview of each vehicle type. Click On OUR RANGE. We are the only company to digitally photograph our vehicles prior to the commencement of your hire. This ensures that you are not erroneously charged for pre-existing damage. We are the only company to have 'Hi-Rider' versions of the12-seat Toyota Commuter minibuses available the Hi-Rider offers a nominal 35mm increase in ground clearance, making them suitable for light off sealed road use perfect for construction sites, running to and from mine sites, and excursions. Our 2.0t (4.5 tonne GVM) truck fleet all feature AMT (automated manual) transmissions, allowing them to be driven with just an automatic only car drivers' licence. With our current generation having a preference for this class of licence it gives employers greater flexibility with its driver options. Well established chain of Suppliers and Service Agents throughout Queensland. In-House servicing by certified Mechanics with fully equipped workshops at all depots keeps the fleet running smoothly. Our Front Counter Sales members are highly trained, encompassing sales and administrative duties. They are schooled in fully embracing our well-regarded philosophy of setting superlative customer service standards. We can supply anything from 'one-off' hires to specialised fleet arrangements. 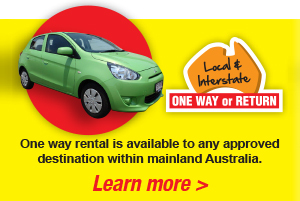 We permit our vehicles to be used anywhere in mainland Australia. Use on islands (eg Torres Strait Island group, Palm Island, Magnetic Island etc) can be arranged. Our relationships extend to numerous Local Government areas in North & West Queensland with councils such as Cairns, Townsville, Mackay, Mareeba, Tablelands Regional, Blackall-Tambo, Flinders, Charters Towers, McKinlay, Diamantina, Whitsunday, Carpentaria, Croydon and Etheridge. We are proud of our business relationships with Aboriginal Councils such as Lockhart River, Kowanyama, Aurukun, Mapoon and Yarrabah. As you can see, the regime of isolation is well understood by our company. We have Preferred Supplier Listings with Roadtek Asset Services and the Dept of Main Roads and enjoy our association with the Dept of Defence, TAFE Queensland, State Emergency Services (SES) and Emergency Medical Services (EMS). We have previously or currently supply light vehicles and light trucks to entities such as Glencore, CST Minerals, BHP, BMA, Aditya Birla, UGL Resources and Rio Tinto, with perhaps our greatest achievement being the supply of all light vehicles to Century mine over a 12 year period. Alongside of this, we have strong, on-going business relationships with Barminco, Incitec Pivot and Dyno Nobel, to name a few. The upshot is that we have extensive experience in the supply of light vehicles for mining applications. Some of the many companies we deal with in the Building & Construction industry are Thiess, Boral Resources, Leighton, Pioneer NQ, Downer EDI Works, FGF, Boral Asphalt, East Coast Traffic Control and Fulton Hogan. We have held and continue to hold strong business relationships in the supply of light trucks and vans with a number of national carriers. We are delighted to assist a wide variety of schools within the regions where we have a presence far too many to name!! School sporting teams, clubs as diverse as AFL, Rugby League, Soccer, Netball, Basketball, Darts and perhaps our proudest association is with the "Crocodile Trophy", a bicycle event along the lines of the Tour De France which requires up to 30 vehicles covering close to 3,000kms over a two week period. We can also add Historical Societies and Charity groups to the list of satisfied clients who use our services on a continuing basis. From moving house to cleaning up the yard, we provide a wide range of suitable solutions to get the job done. All vehicles within our fleet are purchased new, therefore complying with Australian Design Rules (ADR) standards. We adhere strictly to all Vehicle Manufacturer's servicing specifications to ensure we minimise the risk of breakdowns whilst on hire. All depots adhere to Workplace Health & Safety (WH&S) regulations at State level. This includes periodic audits to ensure compliance with these regulations and adherence to same by our staff members. As previously mentioned, we purchase our vehicles new. As per our vehicle retirement policy above, much of our fleet is turned over within the 2 to 4 year / 70,000 - 89,000 km mark. While the principle benefit of this policy is the retention of a low age / low kilometre, reliable and late model fleet and are able to on-sell quality used vehicles, we have the additional factor of ensuring that our vehicles are compliant with current emissions standards. Workshop consumables (filters, lubricants, batteries etc) are disposed of in accordance with Local Council regulations and our control of this segment is audited regularly by these entities. We have had no breach notices issued relating to our methods of disposal. All paper used in our office is carbon neutral and we donate shredded matter to local entities such as YAPS for use in their kennels. Whilst we do not currently hold ISO accreditation, we maintain an approach that achieves the very best in service to its client base. We operate with a view to transparency and integrity. Integrity is paramount in any business and we pride ourselves on our consistent attention to ensuring that we conduct our business in a professional, efficient manner without faltering on adherence to relevant legislation, codes or regulations.